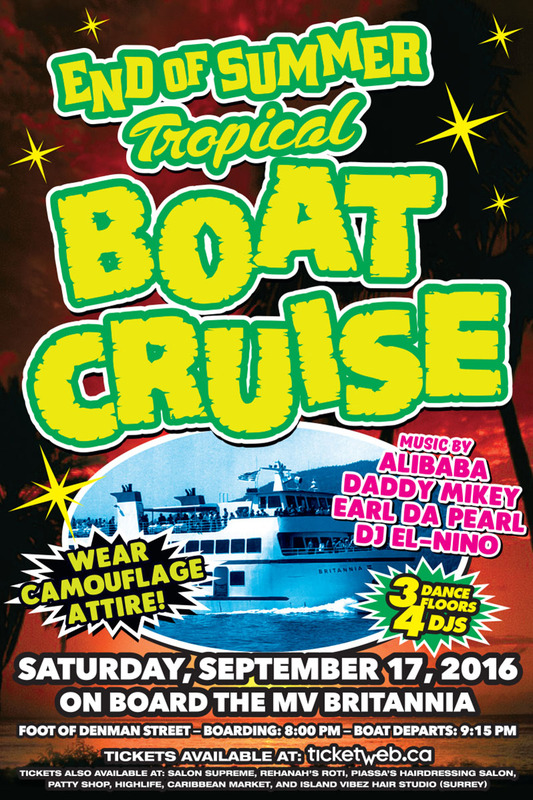 Get into the vibe of summer at the Ed of Summer Tropical Boat Cruise on Saturday, September 17th, 2016. 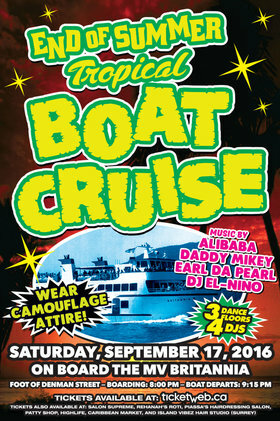 Dress in camouflage attire for this annual event brought to you by Melo Productions. Watch the sun go down as you party on the open deck or dance the night away inside the main cabin’s two different levels—it’s up to you to make use of all the ship has to offer. 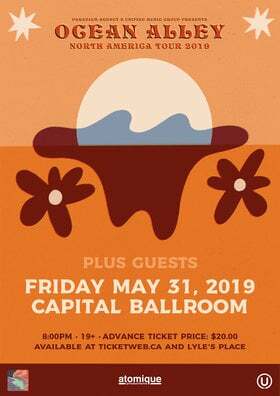 This year, Alibaba, Daddy Mikey, Earl da Pearl and DJ El-Nino, provide 3 hours of non-stop Top 40, Latin, and Caribbean music on each of the MV Britannia’s 3 dance floors. Finally, Caribbean food and freshly shaken cocktails for sale make for the ultimate summer celebration in Vancouver.